Nintendo is gearing up for the next ARMS Party Crash Bash. For those who missed it, the event is being held to determine the game’s best character. 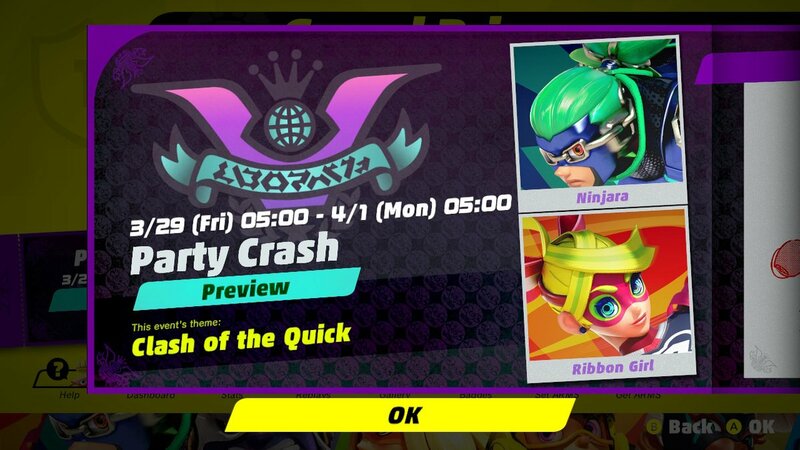 This time around, Ninjara and Ribbon Girl will be battling it out under the theme “Clash of the Quick”. Expect the latest ARMS Party Crash Bash on March 29. It’ll last until April 1.